On Saturday I went to see Olly Murs on his summer tour, after being absolutely mind-blown a few months ago when I found out he was coming to do a show in my home town! Obviously even though I was seeing him in March this year, I couldn’t pass up the opportunity to go to this concert. I mean, you really don’t understand how much of a big deal it was. Nobody ever comes here; it’s pretty much in the middle of nowhere. So the fact that Olly Murs knows it exists and was going to play an outdoor show here was absolutely unreal to me. It still is, even after it happened! It felt very strange to not have to travel to Birmingham to go to a concert as I usually do. Even though Birmingham is only about 40 minutes away from me it was so nice to only have to go into the town centre to see one of my favourite artists! For the same reason it also felt so surreal, it genuinely didn’t dawn on me properly until we were in the queue that spanned about 3 streets down from the venue! Despite the colossal length of the queue, it didn’t take us that long to get let in. I was so impressed with the way the event was organised and run; the whole road outside the cricket club was closed off to traffic for the whole night and there were so many security guards and policemen patrolling around making sure everyone stayed safe and had an amazing night. I must admit, since this was my first concert since the Manchester incident happened, I was feeling just a little on edge, however seeing the policemen and security guards around and the extensive measures they put in place to ensure all our safety made me feel so at ease as soon as I arrived and gave me peace of mind so that I could really enjoy the night. And enjoy the night I did! I have seen Olly live more times than I can count; I think it’s about 7 or 8 but probably more. Yet this was definitely my favourite show of his I’ve ever been to, hands down! 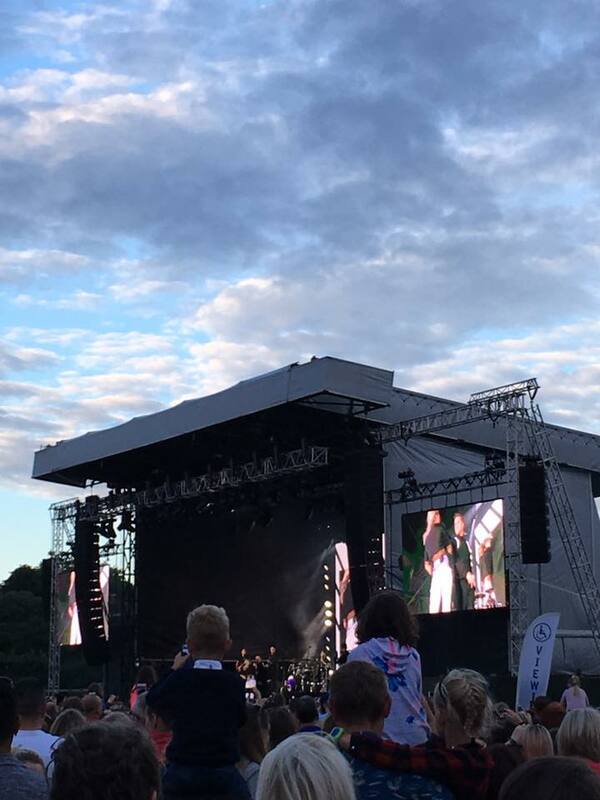 I didn’t have an amazing view, I had to watch the big screens more than actual Olly on the stage because I couldn’t see him clearly most of the time, but the atmosphere was incredible and like nothing I’d experienced before. It felt amazing to be out in the open air, in the middle of my home town, listening to one of my favourite artists and having space to dance around like crazy surrounded by other people who were also having the time of their lives. The set list was very similar to the one he did on his tour earlier this year; he opened with ‘You Don’t Know Love’ which got everyone bopping along from the very start. One of the things I love most about Olly is his personality and that’s something that always comes through during his shows. He has so much interaction with the crowd, always cracking cheeky jokes and having a laugh with everyone and his shows just never fail to make me happy. I looked around and saw adults, people my age and little kids just having the time of their lives and that put the hugest smile on my face. Everyone was dancing and jumping around, holding hands, smiles plastered on their faces as they sang along and it just reinforced the fact that concerts are my happy place and that will never, ever change. 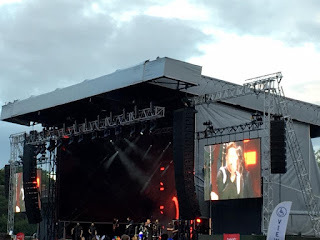 After he’d sung a fair few upbeat songs such as ‘Wrapped Up’ and ‘Heart Skips a Beat’ (which literally got my mum jumping up and down like a crazy person along with me, I wish I’d got that on camera), Olly slowed down the pace when he introduced ‘Dear Darlin’’. Before he sang the song he dedicated it to the victims of the Manchester attack, saying that a lot of us were probably wary about bringing our kids and family members to the show after what happened. He told us to hug the people we were with, and me, my sister and my mum all gave each other the most massive group hug ever and I literally teared up because it was just such a touching moment and such a lovely thing for Olly to say. He thanked everyone for coming out and proving that music does unify us and they won’t beat us. He thanked the police and the security people for keeping us safe that night, and said that the song was dedicated to those who lost their lives in the tragic incident. As I stood there in the middle of my home town, surrounded by people who showed nothing but love and unity, and heard the words ‘I miss you, nothing hurts like no you’ some quiet tears rolled down my cheeks and I got goosebumps thinking about those poor innocent people who lost their lives after a moment just like this, where they were supposed to be their happiest. I admire Olly so much for giving me that profound moment, and giving me the chance to pay some sort of tribute to them while also experiencing such an enjoyable night. You can watch a little video of the song on my instagram. Olly also did his signature ‘ten minute dance party’ where he tells everyone to stick their phone in their pocket and just go crazy and dance along for 10 whole minutes while he sings songs from the past few decades. One of my favourite songs he sang also was ‘Back Around’ from his new album, which in the middle he mashed up with ‘What’s Love Got to do With It’ which was such a fun combination and got us all dancing around. I basically didn’t stop dancing the whole night! As always, Olly’s vocals were on point and his stage presence is just so energetic and contagious. He puts so much effort and energy into his performances and never once lets me down, he’s charming and cheeky and so, so much fun! I’m not exaggerating when I say this was one of the best nights of my life. I don’t think I’ve ever danced so much at a concert before because usually you don’t have that much room to dance around, but because we were quite near the back we had tons of room to shake it as much as we wanted to! I left feeling so happy and content, Olly’s positivity is infectious and he makes me smile so much! 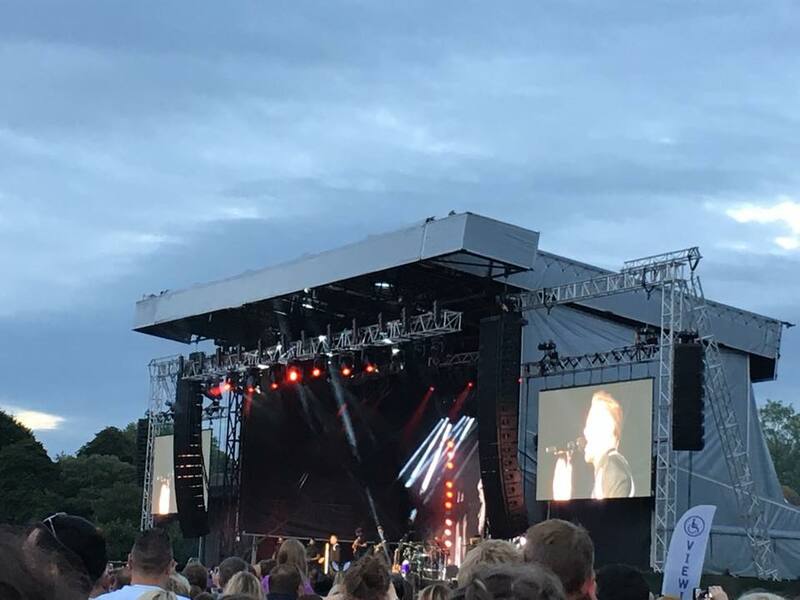 It made me so happy to see everyone praising him after the concert on social media, it was a big deal that someone as famous as Olly came and played a show in my home town and everyone was raving about it and still is! I don’t know what made Olly come here but I am infinitely grateful that he did, and gave me yet another unforgettable night. Have you seen Olly on his summer tour, or any of his tours? I’d love to hear your thoughts down below in the comments! 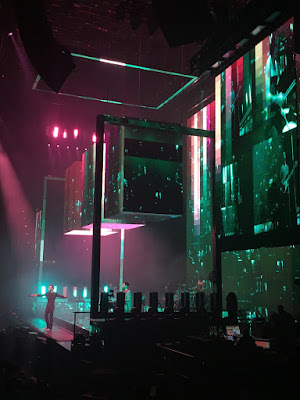 Also I have to apologise for not posting for an entire month, I just didn’t have any inspiration for new posts but this concert left me feeling so hyped and happy that I had to write about it, and I promise when I get back from holiday in about 2 weeks I will be posting more regularly for you guys!